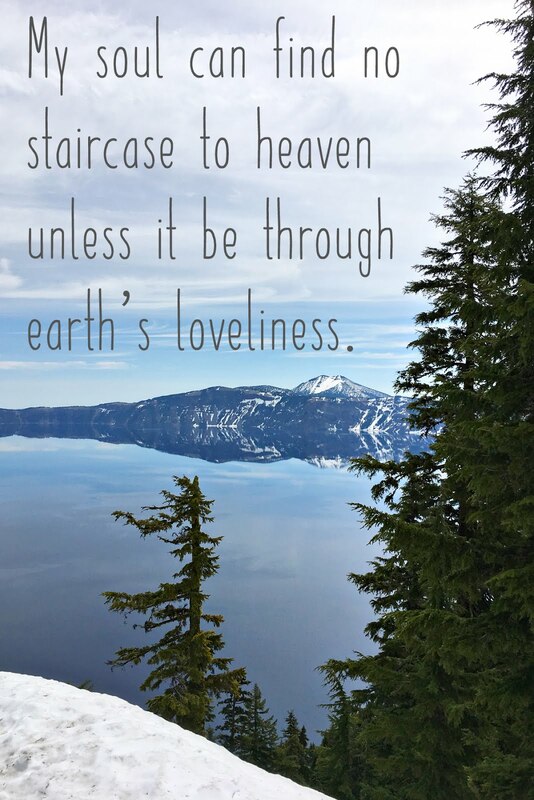 Elevation - approx. 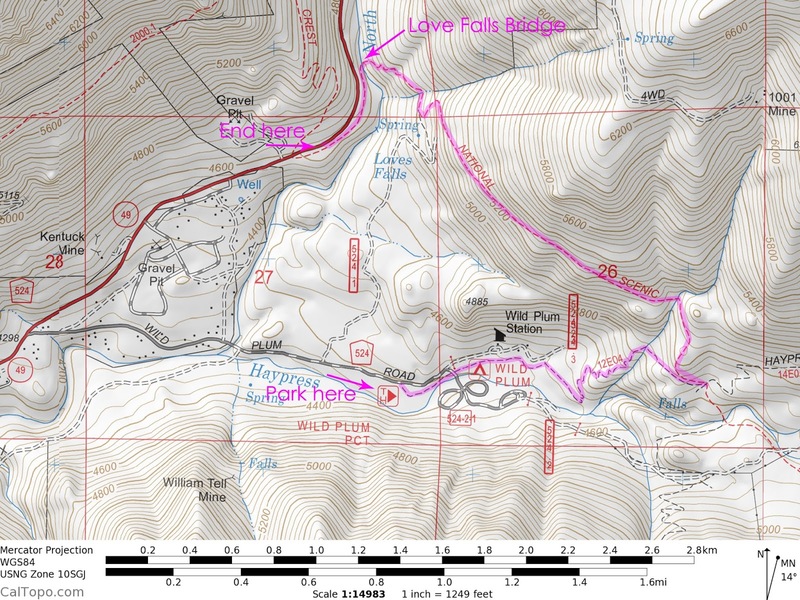 4,200 - 5,200 ft.
Route - (see map and description below) - important note: the CalTopo map (and other maps) show Loves Falls as being south of the PCT, which is incorrect, unless they're naming something else Loves Falls that are further down the river. 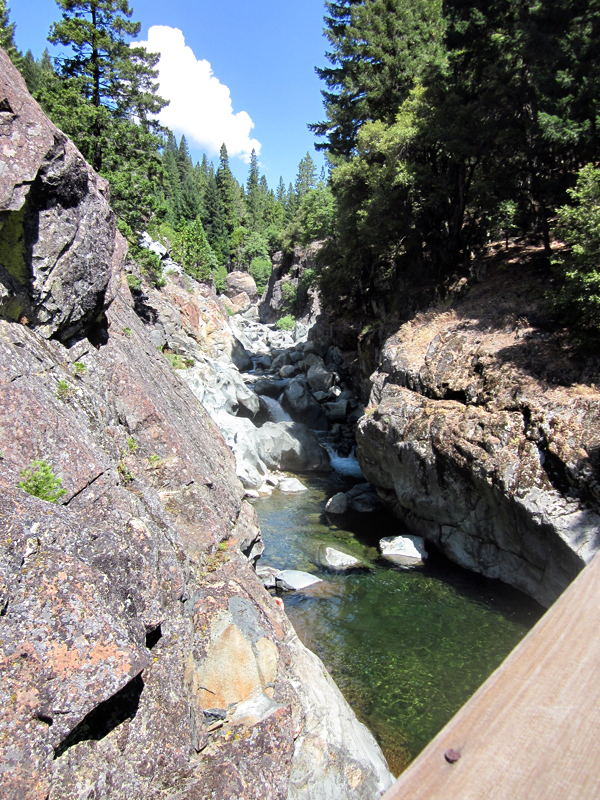 The bridge and the bigger falls are right on the trail of the PCT. Hikers - Holy cow! Way too many to name! 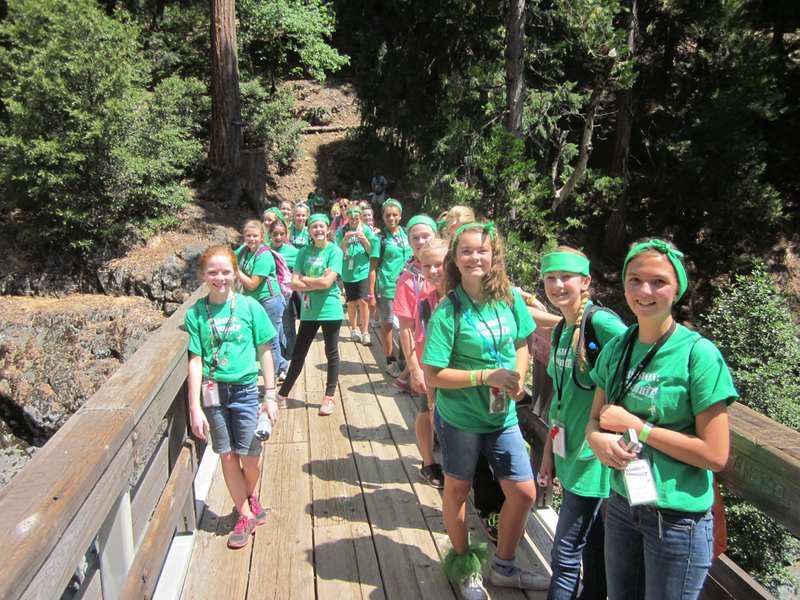 I was asked to help lead a hike for our church's Girls' Camp -- this one was for the Level 2 girls (about age 13), there were over 50 of them! Then add in a dozen or so adult leaders and you've got a serious crowd on a trail. But we managed to make it work by splitting up into 3 groups and staggering our start by 5 about minutes. 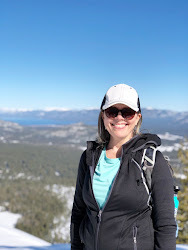 This trail is a combination of different trails I've found in various guidebooks--the "Wild Plum Loop", the Pacific Crest Trail and then Loves Falls. 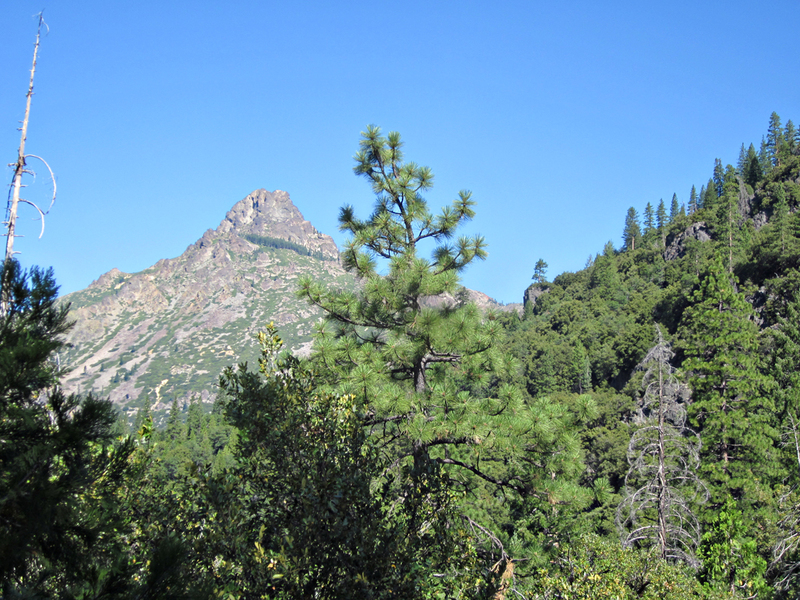 The trailhead is easy to find by taking Wild Plum Road off of Hwy. 49 and parking at the signed trailhead parking lot. The beginning part of the trail skirts along the road headed towards the Wild Plum Campground, then you cross the road to catch the trail again right before the bridge into the campground. The trail zig-zags up to meet up with the Pacific Crest Trail, where you turn left at the intersection. Along the way we did have one little mishap--a couple of girls happened to stop on the side of the trail right near a swarm of wasps. They panicked, screamed and started flailing around, which probably got the wasps worked up a bit and they each got stung a couple of times on their legs. Fortunately, no major swelling or allergic reaction for either one of them and they kept going like troopers. Whew! Along the trail you get some pretty awesome views of the Sierra Buttes and the valley below. 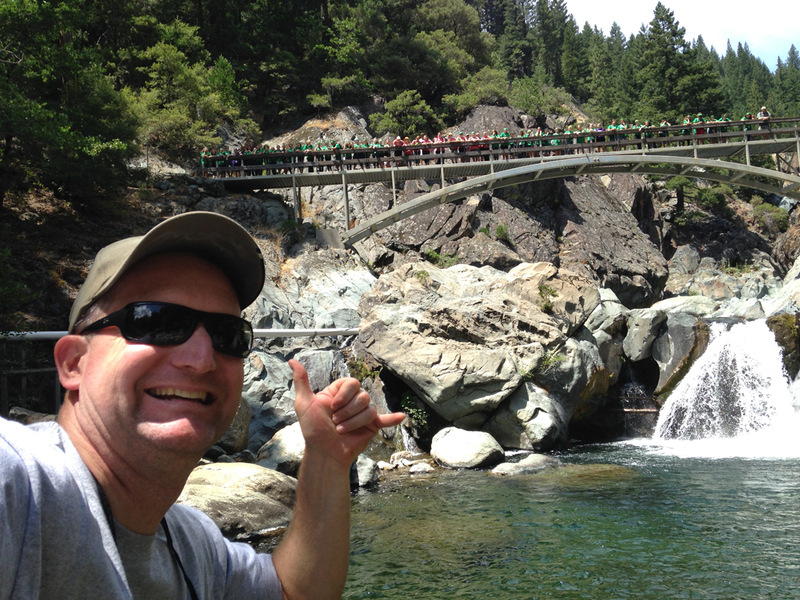 After numerous questions of "How much farther to the waterfall? ", "How far have we gone? ", "When will we get there? ", we finally could hear the sound of water! 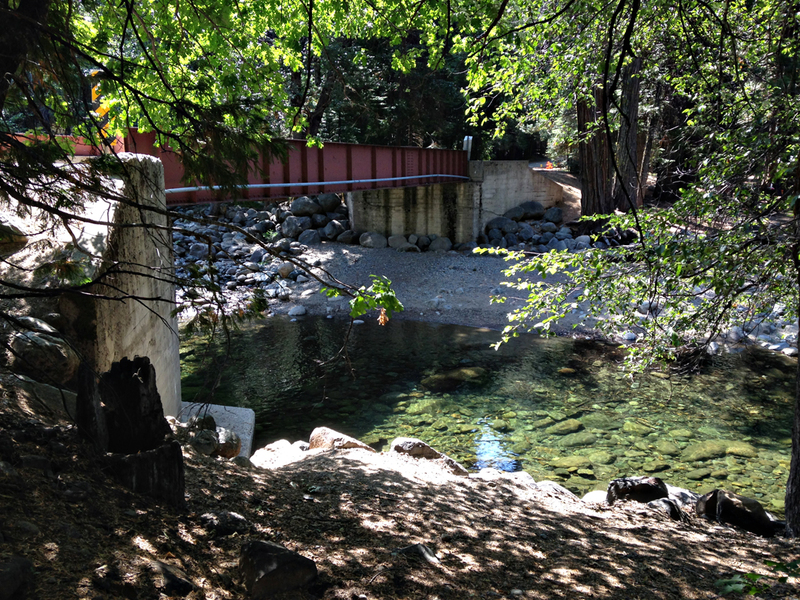 The North Yuba River is a beautiful sight after a hot hike. 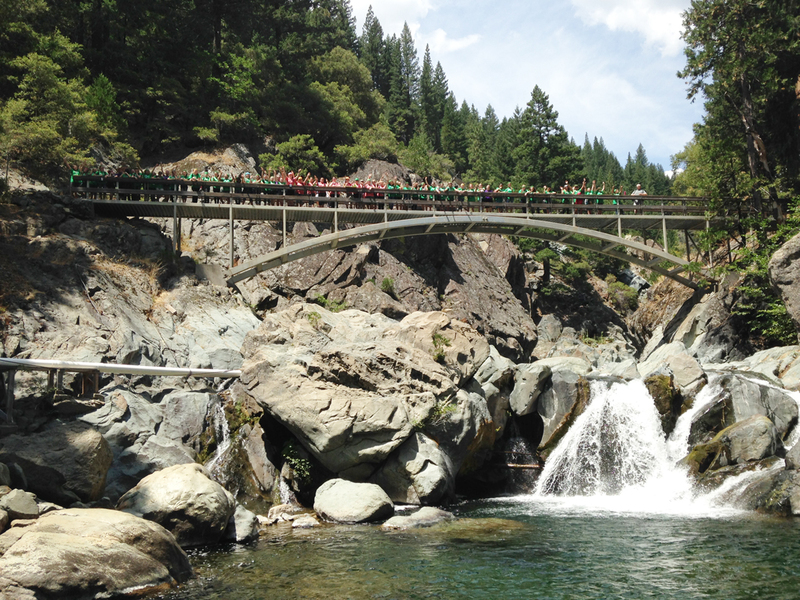 Here's the whole group of girls on the bridge -- I'm not sure the bridge has ever had that many people on it at one time, so it's a good thing it was pretty solid. 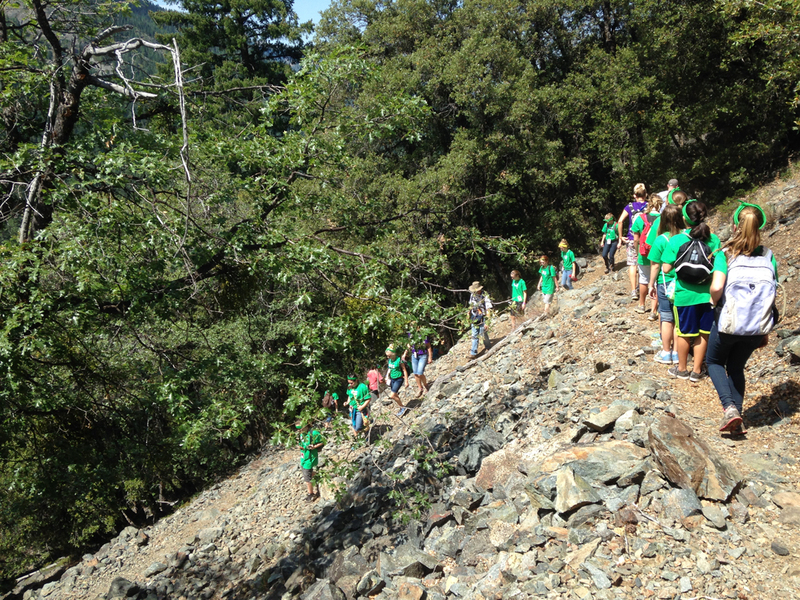 Final thoughts...this was a beautiful hike and the perfect length for this group of kids and their abilities. Hiking with a group this size is not something I'd recommend, but it worked out fine for us this time. It definitely helped to do a one-way hike and end shortly after the falls, rather than trying to make it a loop. 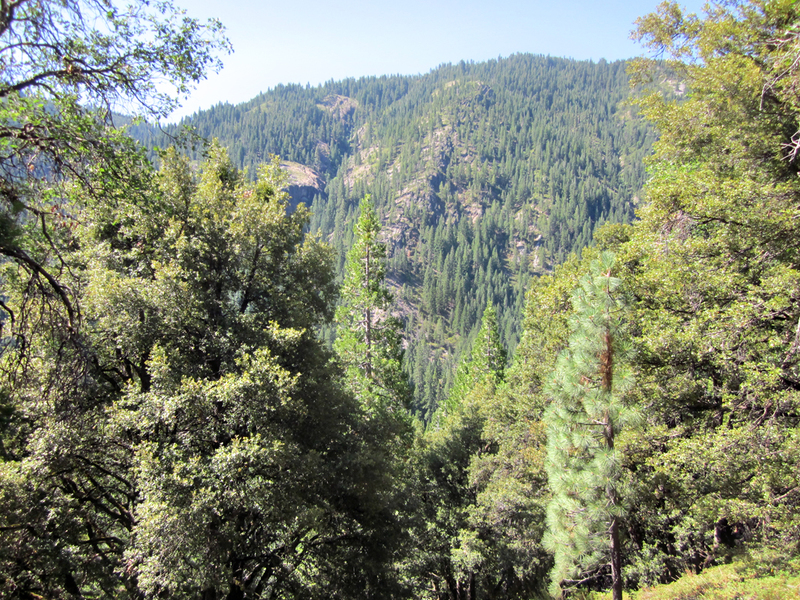 The only options for a loop are to either hike down a fire road (rocky, boring and no shade) or follow Hwy. 49 back around to Wild Plum Rd. If you want to just have a short little walk to the bridge and waterfall, you can park in the turnout on Hwy. 49 and go in that way.